My name is Gijs Vaessen, I am a second year marketing student at the Hanze hogeschool Groningen (Netherlands). In this year there is a half year scheduled for an internship, I chose to do my internship abroad because it is a once in a life time opportunity that you should take! In high school I have had 2 years of Spanish classes, which I always found very interesting, and I wanted to improve my Spanish. So my vision was aimed at Spain for an internship. 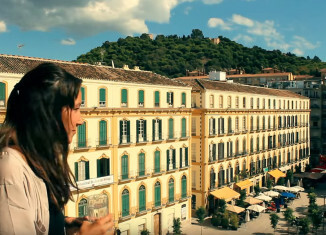 Why did you decide to go to Valencia and to make an internship abroad? I wanted to make sure that my internship was at a high educational level and was linked to my education, but I also wanted to enjoy my free time. When I was searching for a city, I first looked at Barcelona and Madrid which are both big cities in Spain, but I realized they didn’t offer exactly what I was looking for. The third big city of Spain is Valencia and I was really surprised about what you can do there. I chose this city, because it is located at the beach, the city has beautiful architecture and it has a perfect size, where you can easily bike through the whole city and the prices for food, drinks and rent are cheaper then in Barcelona or Madrid. 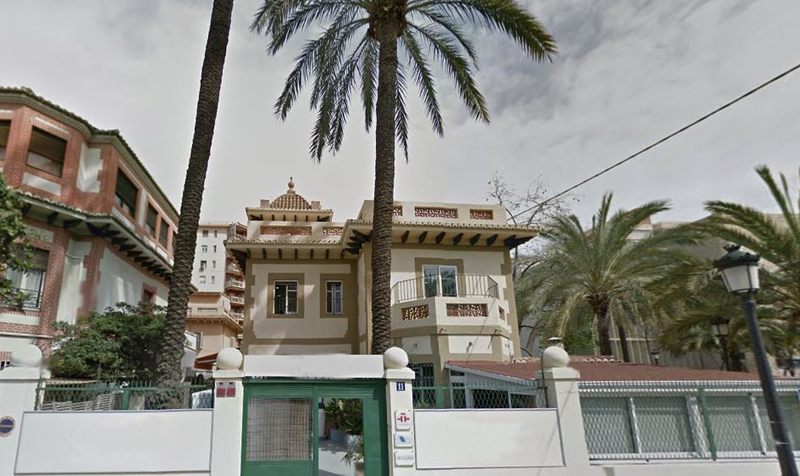 Furthermore, I also found my perfect internship at Linguaschools in the city center of Valencia. Why did you decide to make a Spanish course? 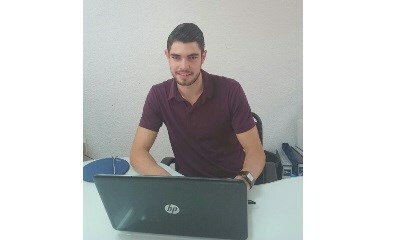 On 20th of April I started my internship and from the minute I arrived in Spain I noticed that the people here are very open and kind and everyone is enthusiastic and helpful. This is the same with my colleges in the office and in the school. Apart from my working hours I follow Spanish classes each day at Linguaschools, because I want to learn Spanish as quick as possible and I am sure it will help me to integrate much faster. My Spanish has been improving by miles and I know for sure that at the end of my internship I will communicate in Spanish without any problems. The way of teaching at the school is very different than I am used to, because there is a lot of communication in the classes and you put your knowledge immediately to practice. The teachers teach with a lot of enthusiasm so that the 2 hours fly by each day. Why should someone visit Valencia? Valencia is a beautiful city with so many things to do and you will never be bored! There are so many places where you can eat traditional Valencian food, for example the original Paella, and have a drink for a very low price. What I enjoy very much about Valencia is the Jardin del Turia that is the park that runs 9 km through whole Valencia and is the biggest urban city garden in Europe. In this park you find a mixture of beautiful buildings and fantastic nature. At the weekends I really like going to the huge white sandy beaches of Valencia which are only 10 – 15 minutes away from the city center and easily reached by public transport. My favorite beach is Malvarrosa, where I spend most time of the weekend. On the evenings during the week or after the beach on the weekend I like going out with my friends in the old town area El Carmen as well as in the areas Marina or Aragon to take some drinks and to enjoy the flair of the city. The area of El Carmen is known for being a place to head for bars, clubs and restaurants. Plaza de la Virgen is a good place to start and when you walk down the streets like Calle Caballeros you will find a wealth of places to go eating and drinking. 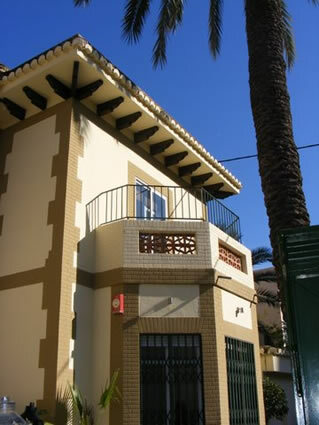 The Marina area is a slightly more chic place to go out and it is close to the beach of Valencia. You find some big clubs in this area but there are also a lot of seafood restaurants and cocktail bars that enable a view on the Mediterranean sea. Due to the fact that most of the universities and language schools are situated between Avenida de Aragon and Plaza del Cedro in the area Aragon, this part of the city is well-known for university and language course students. The squares and bars are most popular with a student crowd and you can find drinks and food for cheap prices. I have been here now for almost three months and I have already seen and done so much in this city, but I know there is still so much to discover. Valencia is a marvelous city, which I can recommend to everyone and I will definitely come back here in the future. I am looking forward to the next months here in Valencia and I am glad that I chose this city as my Spanish destination the place to do my internship. I am sure that I will miss the city a lot when I will go back to Holland but I know that this great experience will definitely help me to mature and will be a huge advantage for my professional future. 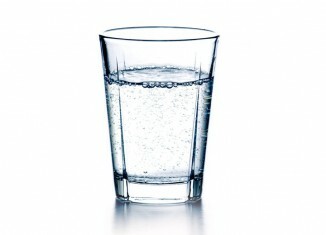 Qué significa esta frase en español: ahogarse alguien en un vaso de agua. Dinos lo que piensas.